Southwest Montana's premiere dermatology practice, offering comprehensive medical, surgical and aesthetic care of the skin. Botox. CoolSculpting. Laser Treatments. Dermal Fillers. Vein Treatments. 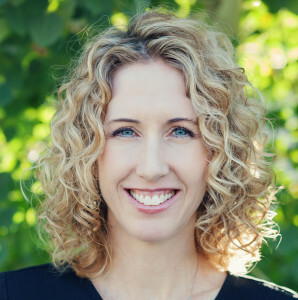 Dr. Teresa Mann, board certified in dermatology, established pure.dermatology in 2013 with the intent of providing best-in-class skin care to patients in Southwest Montana and specifically to patients in Gallatin and Paradise Valley. Dr. Mann graduated Phi Beta Kappa from the University of Washington with a B.S. in Zoology in1992. She attended the University of Washington School of Medicine from 1993 – 1997 where she graduated with honors. She completed her internship in 1998 at Virginia Mason Medical Center. She then completed her three year dermatology residency training at the University of Washington. After serving as Chief Resident in Dermatology in 2001, she moved to Bozeman, Montana. Teresa and her family enjoy all things Montana including skiing, riding horses and hiking in the beautiful mountains. Along with medical and surgical dermatology Dr. Mann has particular expertise in the repair of aged and photo-damaged skin. In order to help her patients achieve a more youthful appearance, she offers a wide variety of cosmetic services including medical microdermabrasion, chemical peels, dermal fillers, Botox, and the newest laser technologies. Pure Dermatology is Southwest Montana’s premiere dermatology practice, offering comprehensive medical, surgical and aesthetic care of the skin. At Pure, we believe that skin health and skin care go hand in hand.